Here, you will see four tabs to Suggest, Search, Update DB and Sign Up. i. Suggest Tab: This tab displays two input fields. The first one is for entering the user-email address and the second field is for entering the URL of the Directory that you want to suggest. On clicking the Submit button, we will receive your notification and accordingly add the article directory to the list of directories in the software after reviewing. ii. Search Tab: On clicking the Search Tab, a pop-up window opens up displaying a search input field. In this input field, you can type in the full or few letters of article directory name that you are searching. It will highlight the findings in the list of article directory at every click. iii. Update DB Tab: As we add new article directories to our database, this button allows you to reload all of the directories from our database, directly into your software. You can do this from time to time to enhance performance. iii. 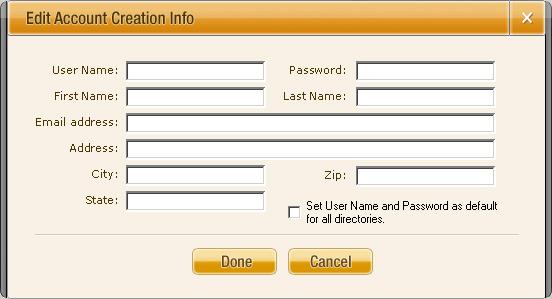 Signup Info Tab-: Edit Account creation info: Allows you to enter or edit your account information like User Name, Password, First Name, Last Name, Email Address, Address, City, Zip, State that may or may not be needed by each article directory. It’s typically best to fill out this information in the beginning, just incase a directory needs this information. 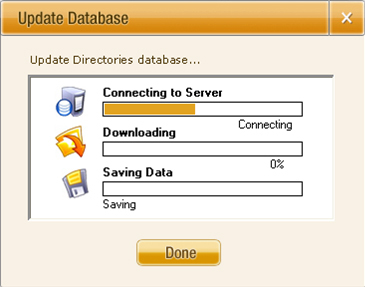 The User can set this information as default by which this information will be used by all the directories to auto fill the information on the websites on which new accounts are created.